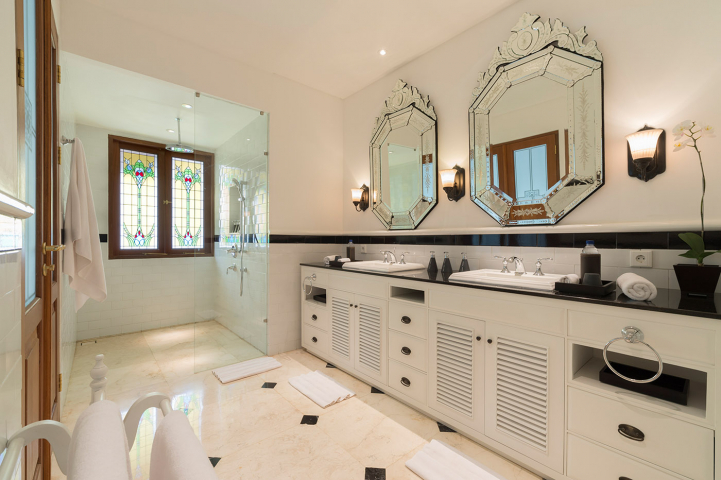 This stunning must see villa is an elegant four-bedroom residence situated in a secure and private, gated estate in the heart of fashionable Petitenget on Bali’s south-west coast. 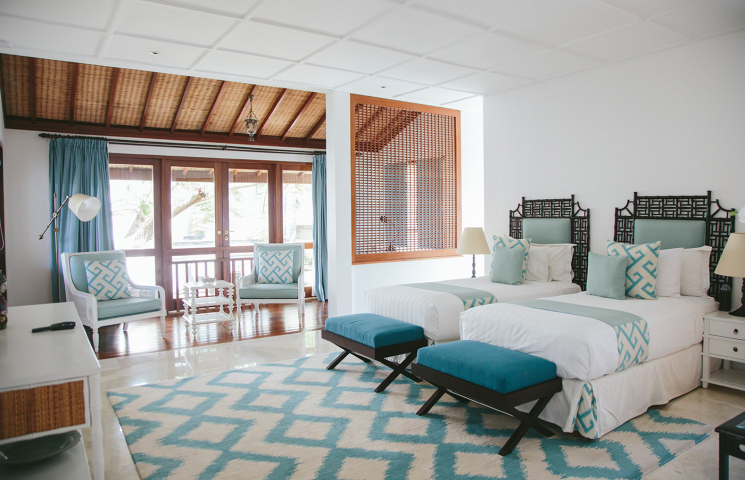 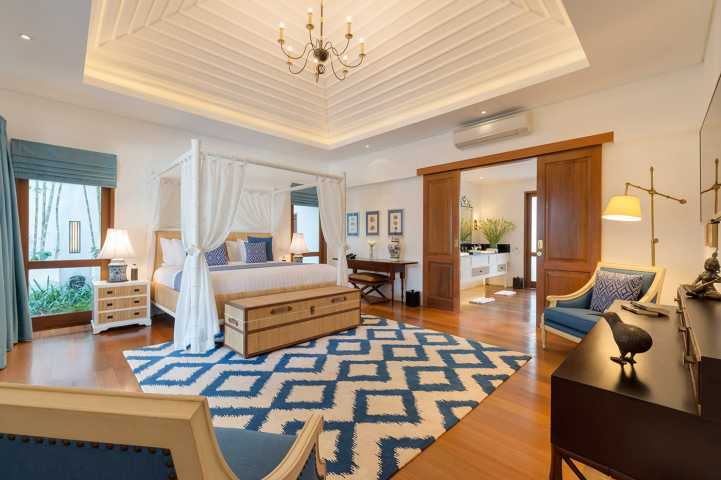 The villa is within walking distance, or a short taxi ride, of Legian beach and the many chic boutiques, restaurants and beach clubs, vibrant nightspots and sumptuous spas of Bali and happening Seminyak area. 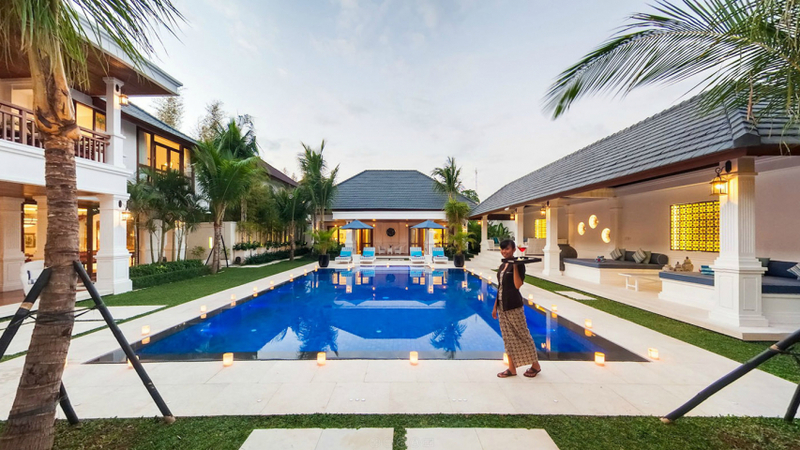 It is very rare to find such a luxurious freehold property within one of the most highly sort after locations here in Bali and inspections are highly recommended. 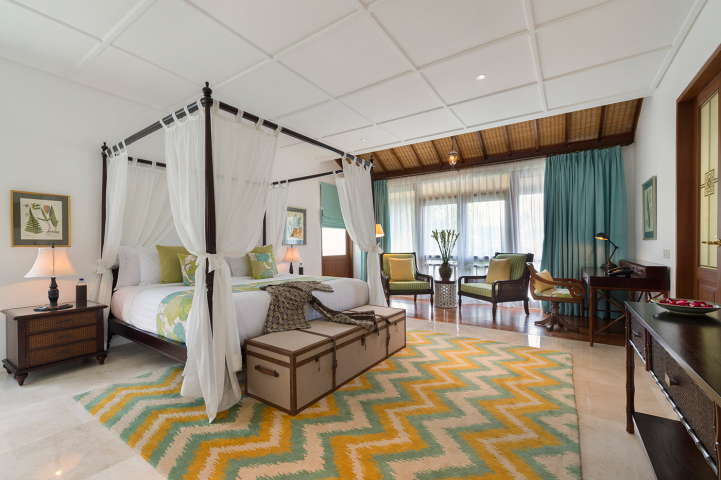 The villa is very spacious with four large air-conditioned bedrooms, each with a super king-size bed and an en suite bathroom, fully equipped kitchen and many areas to relax. 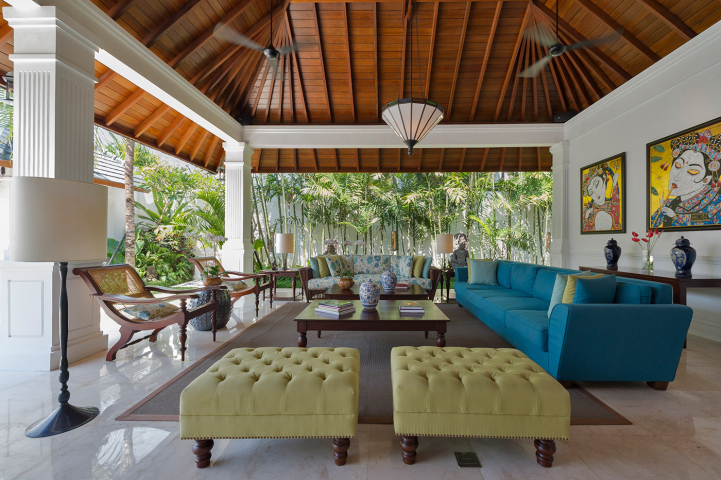 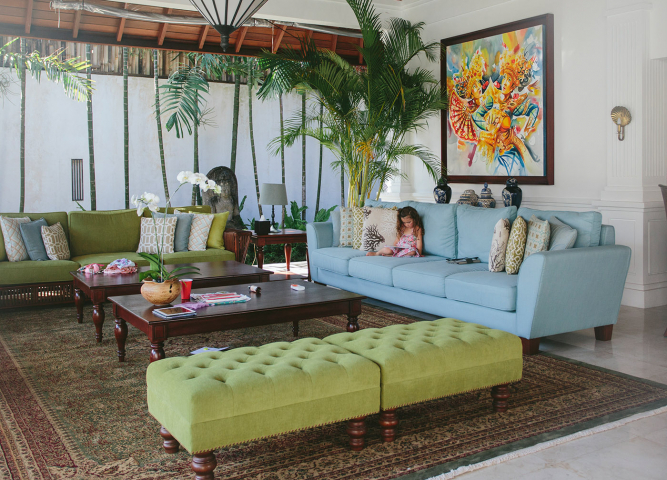 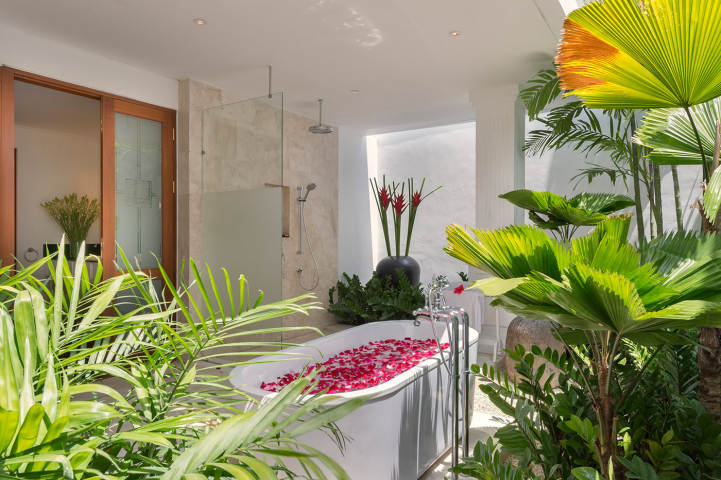 Positioned in a beautiful garden, the luxurious villa features semi-alfresco living and dining areas, an air-conditioned media room and gym, a 14-metre swimming pool relaxation bale and sun loungers set within a tropical garden and high-tech facilities. 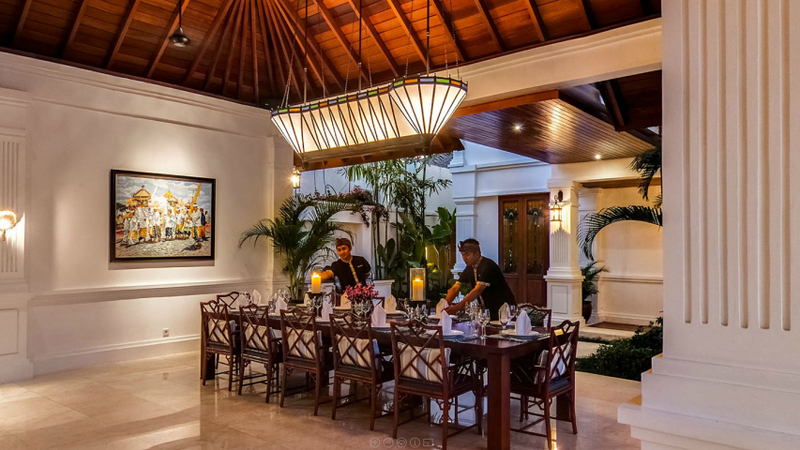 It has a professional and one of the best management companies in place to operate with personal butlers and a professional chef, and is perfect for family holidays or a luxury retreat here in Bali. 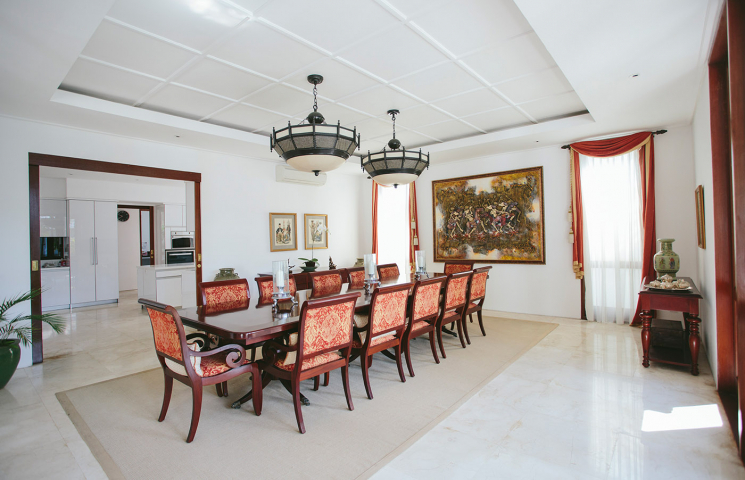 Freehold price in IDR 24.500.000.000.